The R3Y Tradewind was developed in the early 1950’s as one of the aircraft using new technologies including laminar flow wings and turboprop engines. 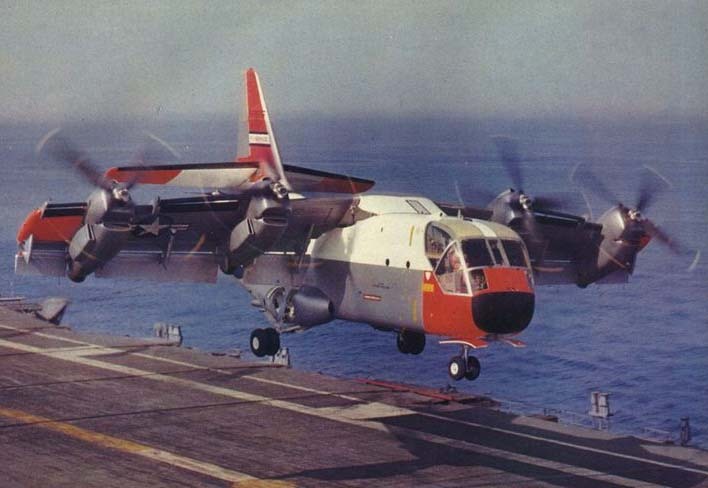 It was initially conceived in the patrol boat role and first flown in 1950 as the XP5Y-1. The US Navy did not proceed with the patrol boat version, after two prototypes had been produced, but directed Convair to develop the aircraft as a passenger and cargo aircraft. Eleven R3Y were built, five R3Y-1 and six R3Y-2 with a lifting nose. 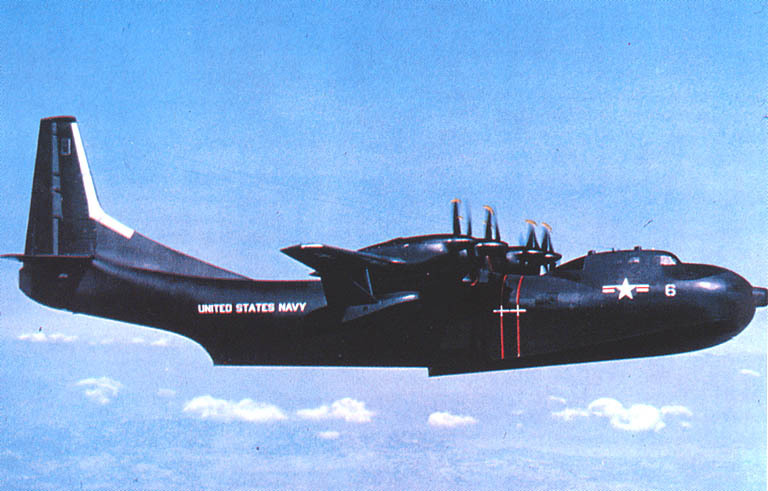 The R3Y-2 were intended to be airborne landing craft but in reality this was found impractical, and the aircraft were converted to in-flight refuelling aircraft. An R3Y-2 was the first aircraft to refuel four aircraft simultaneously. 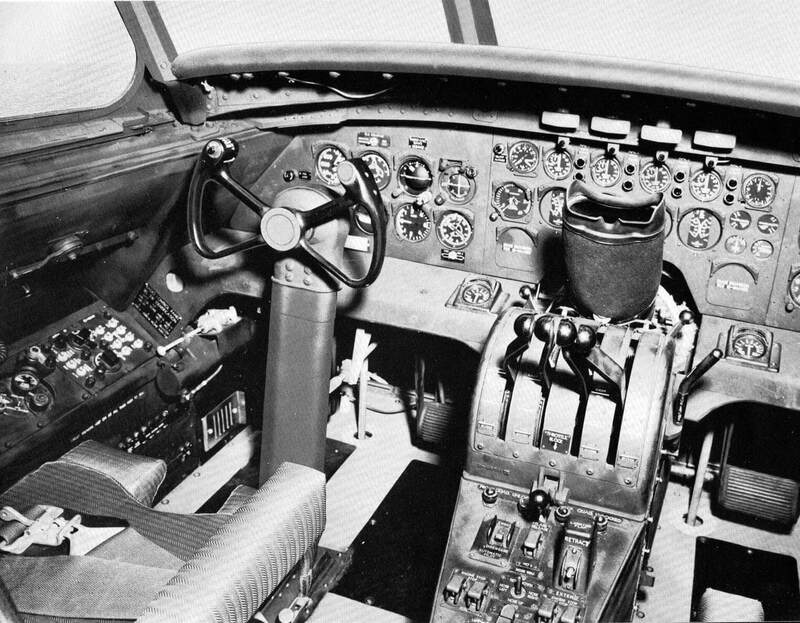 Unfortunately the T40 turboprop engines used proved extremely unrealiable and after several accidents the program was cancelled and all examples of the aircraft were scrapped. They were in active service for barely two years. This title contains the flight manuals for the Convair R3Y Tradewind along with a nice detailed brochure originally classified Confidential. The files have been scanned from the original manuals and retain any colour pages. 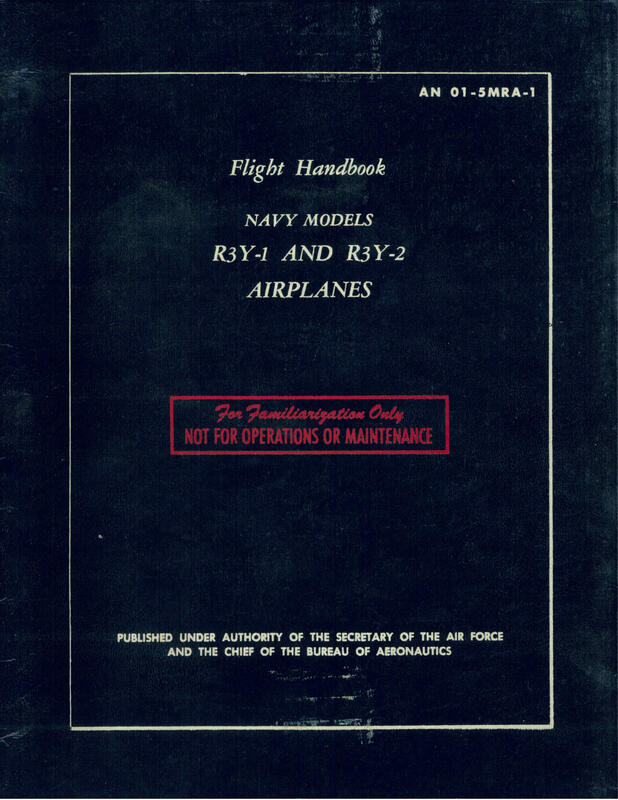 US Navy Flight Handbook for the R3Y-1 and R3Y-2, AN 01-5MRA-1 dated 15-3-55 with approx 206 pages. 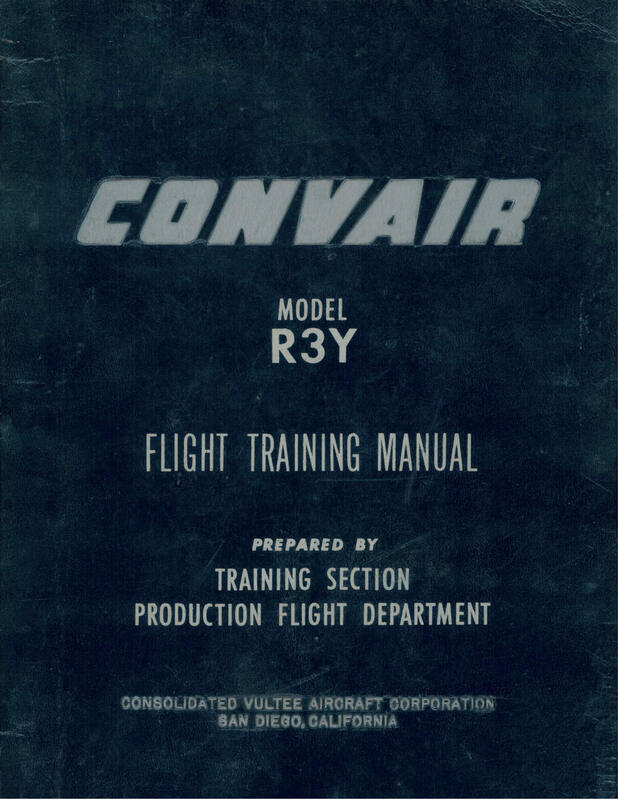 Convair Flight Training Manual for the R3Y, dated 1-11-53 with approx 457 pages. Originally classified Confidential. Manufacturer’s detailed technical brochure for the Convair R3Y Tradewind, undated with approx 77 pages. Originally classified Confidential.